The Poem Farm: Poetry Friday is a Full Buffet Today! Poetry Friday is a Full Buffet Today! Happy National Poetry Month! 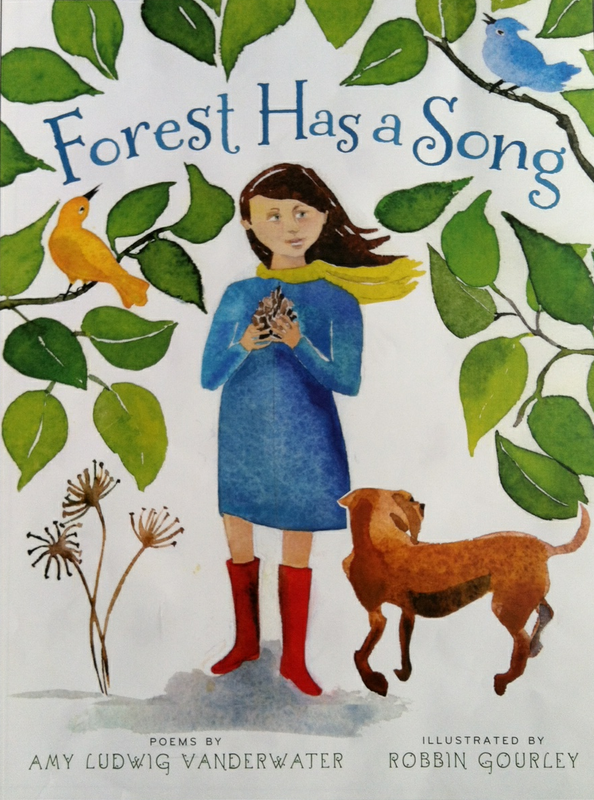 At the bottom of today's post you will find many links to poetrylove in the Kidlitosphere. All are welcome to leave links and words in the comments, and I will add to this post all day with great glee. Now that My Poem Writing Year is finished (though poems will continue to grow), I will spend April revisiting poem-idea strategies and techniques, one per day. Students - all of us who have been to birthday parties know that it is customary to bring a gift. Gifts, however, do not need to be things that we buy at the store. Because today begins National Poetry Month, I would like to offer three poems about poems from this year. During one writing stretch, I wrote thirty of these poempoems on Fridays. Here are a few of them to help usher in beautiful April. 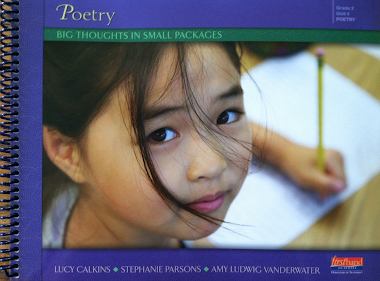 Students - if you are writing poems this month, consider writing a poem about poems. Then, hang it up somewhere or make lots of little copies and give them to your friends. Let's all make poems feel welcome in the world. If you write a poempoem that you would like me to share here on this blog, please just ask your teacher to help you type it in the comments! In addition to being April Fool's Day and the first day of National Poetry Month, today is the International Edible Book Festival, so consider eating some words. April 1 also brings a very special launch of PoetryTagTime, brainchild of Sylvia Vardell and Janet Wong. This e-anthology holds thirty poems by thirty different poets, each of whom wrote a poem inspired by the one before. For .99 you can download this book to your Kindle, other e-reader, or computer and read the poems as well as brief descriptions of how each poet found a way to write from the words that came before. The PoetryTagTime list of poets (in tag order) includes: Jack Prelutsky, Joyce Sidman, Nikki Grimes, Alice Schertle, Lee Bennett Hopkins, Betsy Franco, Douglas Florian, Helen Frost, Carole Boston Weatherford, Calef Brown, Rebecca Kai Dotlich, April Halprin Wayland, Leslie Bulion, J. Patrick Lewis, Avis Harley, Joan Bransfield Graham, David L. Harrison, Julie Larios, Ann Whitford Paul, Jane Yolen, X.J. Kennedy, Bobbi Katz, Paul B. Janeczko, Laura Purdie Salas, Robert Weinstock, Amy Ludwig VanDerwater, Tracie Vaughn Zimmer, Pat Mora, Mary Ann Hoberman, and Janet Wong. To top it all off, you can find daily tips and teaching ideas for each poem over at PoetryTagTime Tips. I can't wait to read the poems or the tips! With a full heart and open arms, I welcome and thank second grade teacher Bonnie Evancho and her students from Pinehurst Elementary in the Frontier Central School District. They generously offered to open April's door with some original haiku. Our class of second graders really enjoyed Andrew Clements's book DOGKU. DOGKU is a picture book written in haiku. It is about a dog who shows up one day at a family's doorstep. After taking care of this new guest, the family has to decide whether or not to let their guest stay long-term. We loved the story and couldn't resist creating our own haiku and haiku stories like Mr. Clements! Ideas came from near and dear topics like favorite hobbies and family pets as well as new-found interests such as the American Revolution. My dog barks too much. When it's gone it's cold. Nalah runs to the door. How I like to talk to them! I shot a point for my team. And I won the game. I love fishing with Eric. He is a good friend. He caught a perch once. Caught a perch with a jig head. Catch bass a lot behind house. Friends for a long time. I love chapter books a lot. When I'm bored I read. A new page for me to read. I hear a voice now. "Now fill out your reading log." Awwww!! I said to me. But still they had war. Would they not be loyalists? It's so hard to chose. We all love her so. And she is a girl. We are right by her side. Pets, hugs, dogs love it. And she loves us too! And they make me laugh. She is awesome all day long. And I get ice cream. Then I went to school. "CLEAN!" to have a dog! Thank you so much, young writers, for joining us today on this first day of the April. I feel grateful to have you here. And Now For The Links! April Halprin Wayland shares a Book Spine poem and Writing Workout over at Teaching Authors. Plus, she will treat us again to a daily poem all month at her poetry blog. Today's poem, "I Heard My Cat Cry" includes an interesting story and challenge too! At Deo Writer, Jone MacCulloch is again writing a fresh poem each day, just as she has done for the past four years. NaPoWriMo! Charles Ghigna transports to the sea with an original poem, "Sea Scape" over at Bald Ego. Brimful Curiosities introduces a "Kids' Poetry Challenge" where families read poems together and children are invited to draw pictures based on their thoughts and inspirations from the poems. Today's selection is Brimful's daughter responding to "The Fairy Dew Drop" by Laura Ingalls Wilder. Travis brings us the 2011 Book Spine Poem Gallery at 100 Scope Notes. Warning: this will make you want to rearrange books all day. At Rasco from RIF, Carol Rasco shares a review of A PRIMER ON THE FLAG, a picture book poem by Marvin Bell and illustrated by Chris Raschka. Susan Taylor Brown offers an original poem-a-day for for the whole month once more. And while last year's poems centered on her relationship with the father she never knew, this year's poem-inspiration will grow from Susan's artistic play and learning all through March. Gregory Pincus is back with another month of 30 Poems in 30 Days over at GottaBook. This month begins with Douglas Florian's "April is the Coolest Month." Tabatha Yeats celebrates the gifts of parenting with her original poem, "Eye Sight, Mother and Child" at The Opposite of Indifference. Over at A Year of Reading, Mary Lee Hahn celebrates not only their author visitor, J. Patrick Lewis, but also a whole school-full of poets with her first NaPoWriMo poem. You can also learn about her funmysterious and soon-to-be-here PoetQRy QResponse game. Laura will bring us Maryland poets and school-friendly writing prompts all month over at Author Amok. Today's poem is "X-Men" by Dennis Kirchbaum along with his upper grade prompt about superheroes and memory. A Teaching Life with Tara celebrates two poems by New Jersey poet Maria Mazzioti Gillan. Starting today at The Small Nouns, Ben will share a new-to-him poem each day of April. The month begins with, "Sutra" by Marilyn Krysl. Heidi Mordhorst begins a game of MiniPoetryTag and wishes Daisy a "Happy Birthday" over at My Juicy Little Universe. At Writing the World for Kids, Laura Purdie Salas shares "Jumping for Joy," a haiku from her book Fuzzy-Fast Blur: Poems about Pets. Laura's invitation to write a 15 Words or Less poem sparks us with a photograph of raindrops. Join a month-long poetry party over at Live. Love. Explore! where Irene Latham will share "poetry quotes, trivia, craft tips, publishing resources, and free books!" Today she tempts us with a book recommendation. Linda Kulp welcomes spring and poetry at Write Time, beginning today with with Linda Lee's poem, "Foal." Shannon has gathered her previous poetry reviews and other poem-related posts for a poetry celebration at Hope is the Word. Jama Rattigan will continue to feed us this month at Jama Rattigan's Alphabet Soup. Today you can nibble on the Potluck Poets menu, John Mole's "The Banquet," and news about a poetry book giveaway. Random Noodling, with Diane Mayr, brings us an original haibun titled "Rally for New Hampshire." Kurious Kitty speaks to April Fool's Day with a bit of Shakespeare, and Ted Kooser is up at Kurious K's Kwotes. 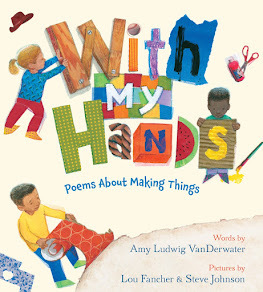 At Wild Rose Reader, Elaine talks with Sylvia Vardell and Janet Wong about today's newly launched PoetryTagTime, an e-book anthology of children's poets tagging each other with poems. At Blue Rose Girls, Elaine shares an original acrostic for April. Once again, Elaine has generously herded up and now offers her list of National Poetry Month Resources for 2011, and you can learn about her NaPoMo poetry book giveaways here. The Florian Cafe shares "To Anna Blume," a poem by Kurt Schwitters Merz on the occasion of his new show at Princeton. "Thanks," by W.S. Merwin, ushers in April over at Pentimento. Ruth brings us the hopeful words of Emily Dickinson's "April" at There's No Such Thing as a God-forsaken Town. Two haiku written by seventeenth-century Japanese woman poets grace Robin Hood Black's blog today. Jennie reviews Helen Frost's verse novel, The Braid, today at Biblio File. At Fomagrams, David Elzey is in with his annual launch of twitku (daily tweeted poems) and what he calls Burma Shave poems. You can follow these on Twitter at @delzey. At Views from a Window Seat, Jeannine Atkins shares her thoughts about and a peek into Eavan Boland's memoir Object Lessons: The Life of the Woman and the Poet in Our Time. Across the Page brings us Robert Louis Stevenson's "The Land of Counterpane" in honor of a sick child at home. For the fourth year running, Andromeda Jazmon will post an original haiku and photo each day at a wrung sponge. This year, she is extending the challenge into a daily haibun. As a part of today's haibun, Andromeda shares a inspiring student project called "Paper Cranes for Japan." Books, Dogs, and Frogs shares "Love These Dogs," an original dog-celebration poem inspired by Sharon Creech's LOVE THAT DOG. May this first-original-poem-since-grade-school be the first of many! At Book Aunt, Kate Coombs is in with an original poem about listening to rain as well as the Kidlitosphere poetry links collected by Irene Latham for National Poetry Month. Doraine Bennett offers Lucy Maud Montgomery's "An April Night" at Dori Reads. Blythe Woolston thanks her poet friends for helping her "recover her poetic license" with a poem that has "a haikuish bent." At Liz in Ink, Liz Scanlon will for the third time share one haiku each day for the month of April. This year, though, she will post haibun. Today's haibun is about a hiding cat...and so much more. Janet Squires shares Wings on the Wind: Bird Poems, collected and illustrated by Kate Kiesler, over at All About the Books. To kick off National Poetry Month 2011, The Write Sisters have a poem about poems by Archibald MacLeish. Over at The Blog with the Shockingly Clever Title, Karen Edmisten has posted links to George Meredith's "The Lark Ascending" and a Ralph Vaughan Williams song which it inspired. Karen recommends listening and reading at the same time. Martha shares an original poem about one tough winter over at Martha Calderaro. Over at The Drift Record, Julie Larios offers a feeling of longing with "White Cat," a poem by Romanette, a Seattle second grade. Mozi Esme is joining in with the "Kids' Poetry Challenge" introduced by Brimful Curiosities. And the first drawing is up - a response to Richard LeGallienne's "I Meant to do My Work Today." At Carol's Corner, Carol shares a found poem from this month's issue of Oprah, which focuses on poetry. Her poem, "Poetry," was found in a piece by Mark Nepo. 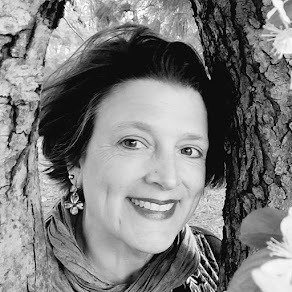 As a part of her research for her next novel (a middle grade historical fiction set in 1548 Flanders), Nicole Marie Schreiber offers a poem she found called "Lacemaker's Prayer." Thanks for hosting and for posting all the creative poetry by children! My daughter decided to read and illustrate a fairy poem this week, "The Fairy Dew Drop" by Laura Ingalls Wilder. Join us as we celebrate the first of five "My Poetry Book" posts in celebration of National Poetry Month. Thank you Amy, for starting us off right for National Poetry Month. And a HUGE congratulations to you for completing your poem-a-day project for the year. WOWSERS!!! I'm in with the first of my original poem-a-day for the month. Congratulations again on your amazing year here at the Poem Farm. 30 Poets/30 Days kicks off today with April is the Coolest Month by Douglas Florian. Poetry in the Halls went up yesterday, Amy -- thanks for your help with that :-)! The only problem with April is that there are so many things to read and see that I'm not sure how I'll get anything else done! Today is our author visit with J. Patrick Lewis! My first original poem of NaPoMo is in honor of his visit. Thanks for hosting! I'm glad we all get to come to The Poem Farm today...and I can't wait to check out all the cool Poetry Month projects around the Kidlitosphere. I agree with Tabatha -- I could do just that full time and probably not see/read everything! Happy National Poetry Month, Amy. I'm partial to those pet-ku. 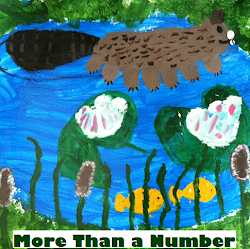 All month I'll be featuring Maryland poets, with a poem and school-friendly writing prompt. First up is Dennis Kirschbaum with "X-Men." The prompt, for secondary kids, is about favorite super heroes and memory. Thanks for hosting on the most exciting Poetry Friday of the year! I look forward to coming back this afternoon to the poetry party! Thanks for hosting! Happy Poetry Month! My contribution is Charles Reznikoff's Te Deum. Thanks for sharing the second graders' work; some of them gave me quite a giggle. You can do a lot with those few haiku syllables, as they clearly show us! Good morning, Amy. I love Dogku and so do my students. I'm in today with a poem I think all of the horse lovers out there will enjoy. Have a great day! I posted links to all my poetry book reviews in honor of National Poetry Month. Thanks for hosting! Wow, what a joyous, juicy post! Love all the student poems. Happy Poetry Month, and thanks for hosting today! Random Noodling has a haibun for today. Kurious Kitty shares a little Shakespeare for April Fool's Day, and, Kurious K's Kwotes' P.F. quote is by Ted Kooser. Happy National Poetry Month! It's snowing in Massachusetts at the moment! We'd had three days of snow so far since the beginning of spring. At Wild Rose Reader, I have a conversation with Janet Wong and Sylvia Vardell about their PoetryTagTime project. I also have an extensive list of links of resources for National Poetry Month. Thanks for doing the roundup this week! I'm back! At Blue Rose Girls, I have an original APRIL acrostic. Thank you for hosting, Amy, and for sharing these poems from young authors. Thanks for hosting! I have an Emily Dickinson poem today, about April. Amy, congratulations on your year of poems, and good luck with all the second, third, etc. looks! It's just the first day of April, and already I'm overwhelmed with all the poetry to read! In a good way. Thanks for sharing yours. Thank you so much for hosting today and kicking off National Poetry Month! I'm in today with a review of Helen Frost's verse novel, The Braid. okay, for some reason blogger just dumped my last comment. hopefully this isn't a duplicate. i'm in this week with my annual launch of twitku and burma shave poems. thanks for hosting and posting, amy! Happy National Poetry Month! I love your opening poem. Amy, I love that first poem of yours! So sweet! I am writing a haiku/haibun every day in April (once again, 4th year in a row *gasp*) and posting them on my blog. First one today is on paper cranes for Japan. Thanks so much for hosting this exciting day!! You are amazing, Amy! Thanks for all the poems and inspiration this year...and TODAY--wowee! Thanks for hosting, Amy. What a great post today. You're chock full of poetic delights. At my blog today I posted "An April Night," by Lucy Maud Montgomery. Amy... Thanks so much for hosting on this special day! I've begun my 3rd round of April haiku -- one a day all month -- only this year I'm actually doing haibun! My selection is "Winds on the Wind: bird poems" collected and illustrated by Kate Kiesler, an artist living in Colorado, who shares her fascination with birds. Oops. didn't leave specific link! I'm in and my link is here. I've got "The Lark Ascending" by George Meredith, and the sublime piece of music of the same name by Ralph Vaughan Williams. And Amy, congratulations on your year of poetry writing! Thanks for hosting, Amy! Your blog post today is quite an initiation into National Poetry Month! Over at The Drift Record , I have a poem called "White Cat" written by a second grader in the Seattle Public Schools. I love this little girl's imagination! Let the poetry affection continue to rain on us all every day!!!! It's 10:30 on Friday night, and I'm just now getting to poetry. I know it's way late, but I didn't want the first day of poetry month to go by, uncelebrated by me. I just put up a found poem about poetry. Thank you so much for hosting! I am doing a Poetry Friday (on Saturday) post, but it is better late than never! This week my poem is about the art of lacemaking, which goes with my WIP middle grade historical novel set in 1548 Flanders. Enjoy! Amy, thanks so much for the plug and for all your support and enthusiasm for PoetryTagTime!